Cody Buongiorno is a Senior at Oregon State majoring in Biology and minoring in Chemistry. 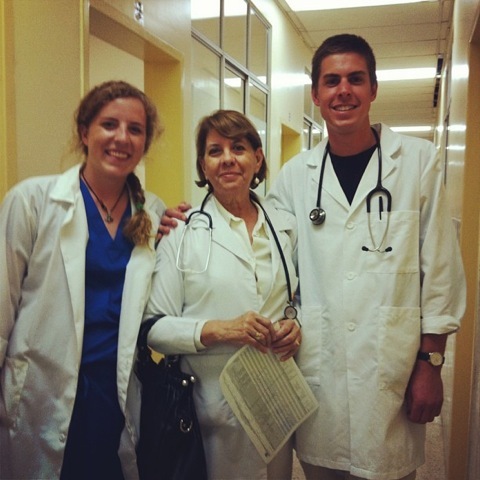 During Fall 2012, Cody traveled to Ecuador through IE3 Global Internships and participated in a medical rotation internship for Child Family Health International (CFHI). Making the decision to travel to the astonishingly beautiful and diverse country of Ecuador was a remarkable and immeasurably beneficial experience. I achieved a longtime dream to study and live in a different region of the world. Throughout the three months of my Child Family Health International (CFHI) medical internship in the fall of 2012, I completed an intensive intermediate Spanish course focused on language and medical terminology. Additionally, I was privileged to work alongside and learn from seven doctors in various specialties, and interact with countless other doctors, surgeons, medical students, nurses and, of course, many patients. 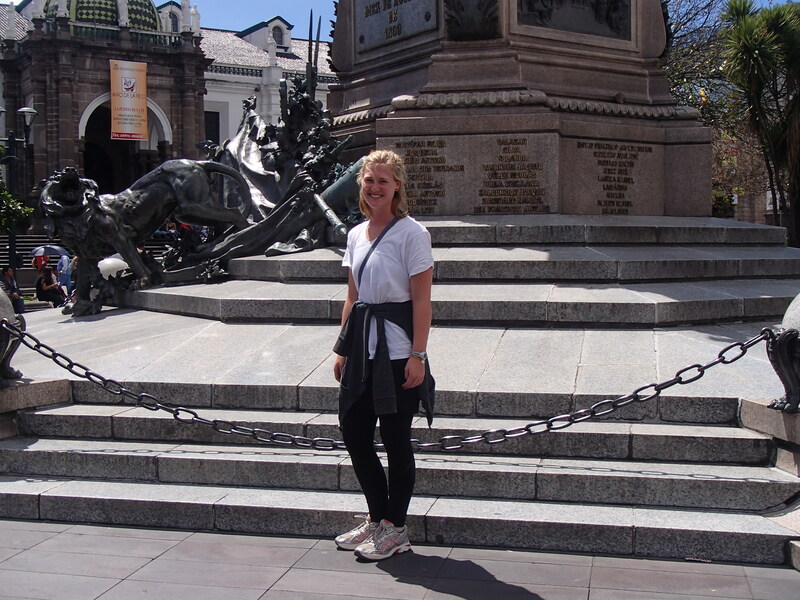 I was immersed in both the rich Ecuadorian culture and healthcare system. I lived with another Oregon State student and three other CFHI interns participating in different programs who were all interested in studying medicine. The programs varied, reflecting each student’s level or experience with the Spanish language, the medical field and prior world travel. 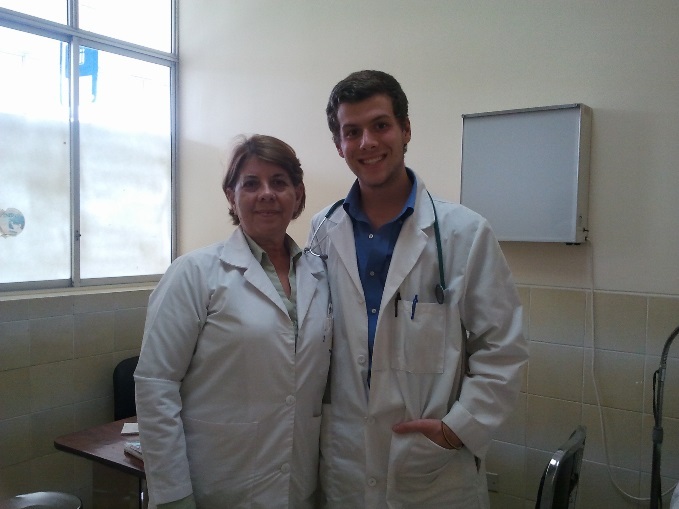 The medical coordinator, a local family medicine doctor, organized the clinical rotations and weekly progress meetings while also providing excellent advice and making the students feel comfortable. I spent seven weeks of my program in the city of Quito, and three weeks in between on the coast. 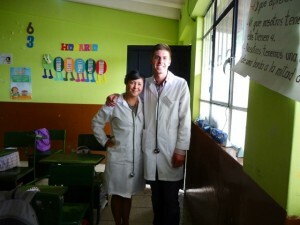 I started off at a pediatric clinic and maternity hospital with my fellow OSU intern. We travelled by trolley or bus to the clinic and the hospital where we worked with doctors for four hours each morning. We then returned to the Spanish school for four hours of language classes. With this general schedule I rotated through a pediatric clinic, a maternity hospital, a surgery rotation, a family medicine clinic and a specialized hospital for oncology and hematology. 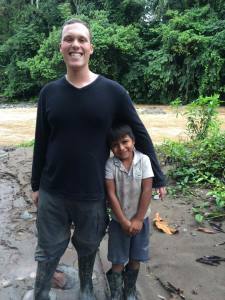 After the first five weeks, I ventured to the coast of Ecuador where I lived and worked in the rural town of Chone. 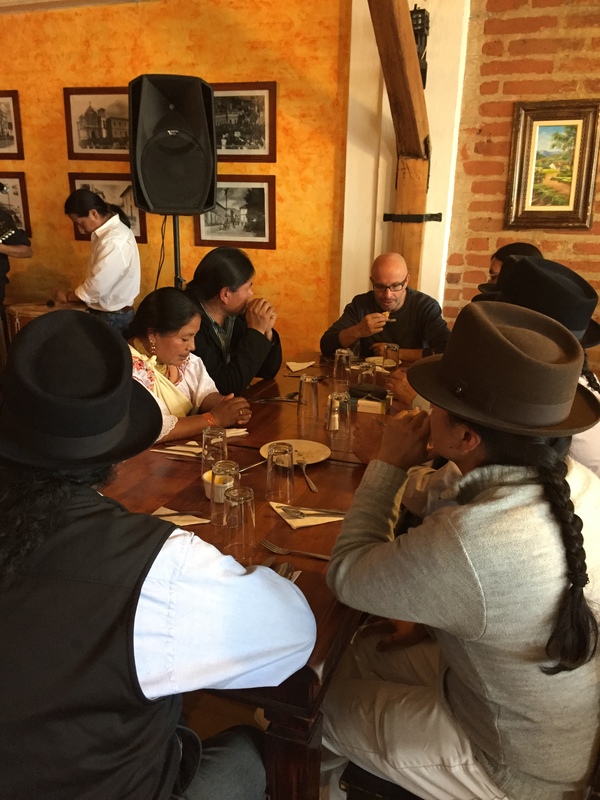 The pronounced and distinct change in climate, culture, language and my personal lifestyle both refreshed and challenged me after becoming accustomed to the massive city of Quito. I lived with a loving and caring host family that assisted my assimilation into the culture and accepted me as a part of their family with open arms. I worked alongside a very caring and intelligent pediatrician with whom I spent the majority of my time. We worked eight hour days in the hospital, running between the inpatient cases and the outpatient clinic while continually referring to surgery, the ER, the ICU, radiology and other specialty areas of medicine. This portion of the program was more hands on and intense as I learned from many medical professionals, worked with my doctor one-on-one, dealt with patients while under supervision, and interacted with the entire working community of the hospital. 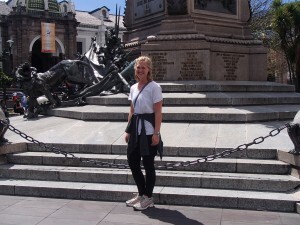 All the while, I took Spanish classes taught by instructors who became friends, connected with my fellow interns, integrated into multiple host families, and traveled all over Ecuador. 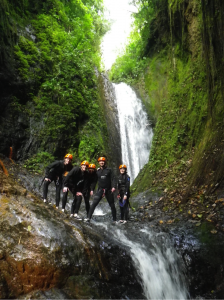 While abroad I expanded my comfort zone and tried many adventurous activities: paragliding, waterfall repelling, bungee jumping, and finally, zip lining. The entire program was memorable. I witnessed sixteen surgeries, recorded countless interesting medical conditions, learned from many upcoming physicians in both a clinical and a classroom environment, examined children in Chone – after being taught how to perform a complete physical – and learned how to interact with doctors, nurses, and patients. I saw cases of dengue fever, severe bronchitis, intense malnutrition in children (kwashiorkor), heart murmurs, intestinal blockages, and many more. I encountered patients with remarkable recoveries, complicated surgeries and captivating medical cases. The entire culmination of experiences in my internship confirmed my desire to enter the medical field. In the end it was difficult to say farewell to my family and to the country that helped me grow into the person I am today. I have been affected in so many wonderful ways and have the desire to travel more and experience other cultures of the world. I met unbelievable people along the way and encountered marvelous adventures. My study abroad greatly exceeded all expectations and was far more enjoyable and beneficial than I ever imagined. I entered my internship as a junior in college and, with the help of all the life lessons and skills I gained from studying abroad in Ecuador, I emerged with the goals of maintaining my Spanish, traveling the world on a greater scale, and someday becoming a doctor. Posted in Ecuador, IE3 Global Internships, Returnee, Spanish, Uncategorized. 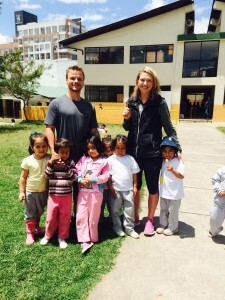 Samantha Beattie recently graduated from Oregon State, where she studied History and Spanish. 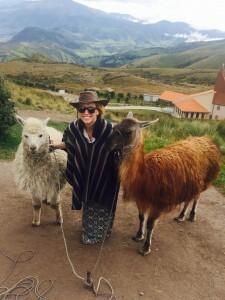 She ended her college experience studying abroad in Quito, Ecuador at the Universidad San Francisco de Quito through OUS International Programs. 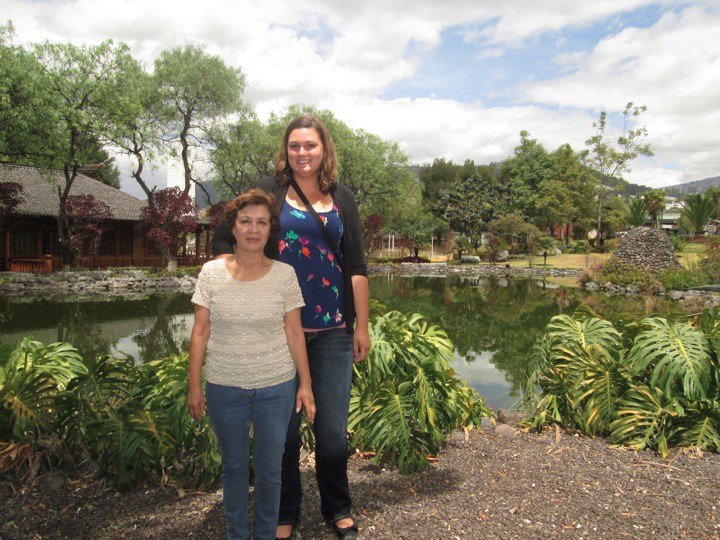 Now, Samantha is pursuing her Master’s in Library and Information Science at the University of Washington. 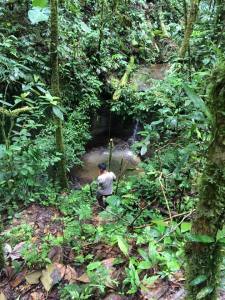 My experience in Ecuador was one of the most profound and immense experiences of my life. Since I returned, I have tried to ruminate on my experiences as a whole, but I have found that this is very difficult to accomplish. There is no way to explain the experience of being immersed in the sights, sounds, and culture of another country that is so phenomenally wonderful, beautiful, and welcoming as Ecuador. My time in Ecuador was more than a vacation or a semester abroad; my experience in Ecuador will be a part of me forever. 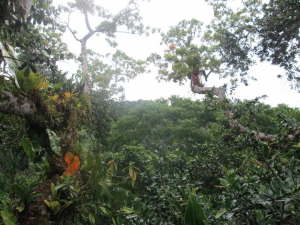 One of my favorite parts about Ecuador is the immense beauty of the region. What makes Ecuador so unique is the incredible diversity in its landscapes. 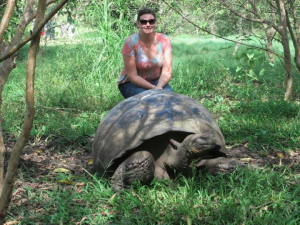 Ecuador has everything from the beautiful beaches and stunning coastline of the Galapagos Islands, to the awe-inspiring Andes Mountains, to the amazing ecosystem that is the Amazon jungle. The most amazing part is that all of these vastly different landscapes fit into a country roughly the size of Oregon. Another reason why my experience abroad was so memorable is that I was able to immerse myself in the culture. Traveling around the country relying on only my language skills was one of the most fulfilling parts of the experience. I also enjoyed going to a University that had a mixture of Ecuadorian students and international students. However, the most beneficial part in immersing myself in the culture was living with my host family. My host family is absolutely amazing; they opened their arms to me and really made me feel a part of their family. We still keep in touch, and their friendship is one of the things I value most from my Ecuadorian experience. Before I left to study abroad I was very excited, and had high expectations, however there was no way to really know how phenomenal the experience would end up being. 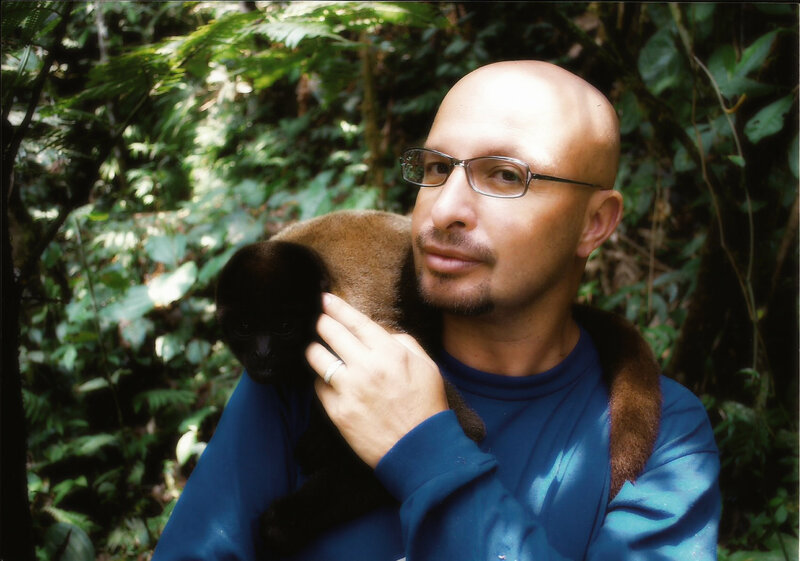 Living in Ecuador is one of the most profound and shaping experiences of my life. 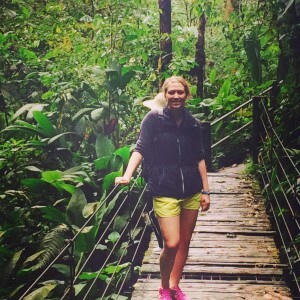 Posted in College of Liberal Arts, Ecuador, OUS, Returnee, study abroad, Uncategorized. Ellen Dow is a junior at Oregon State, studying Biology. Ellen recently returned from Puerto Lopez, Ecuador where she interned for Equilibrio Azul. 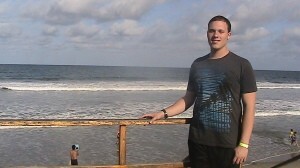 During fall term of 2012, I interned with Equilibrio Azul in Puerto Lopez, Ecuador. I began my internship with a language immersion program while living with families in Quito and Cuenca. My host families made me feel so welcome during my first couple weeks in a foreign country as I prepared myself for working with locals and other foreign volunteers. In my classes, I was able to explore the language and then practice with my respective family. I made some remarkable friendships with my hosts in Quito, even so much to call them my Ecuadorian family and stay in contact through sharing stories and pictures using email. From the Andes, I traveled to Puerto Lopez, Ecuador on the coast, experiencing the lively adventures of the bus and the vendors that hop on at stops to sell food and a few goods for fifty cents or a few dollars. I wound up in a dusty local fishing town that was in the slow season for tourism and began my work straight away. I volunteered with Equilibrio Azul as an intern. 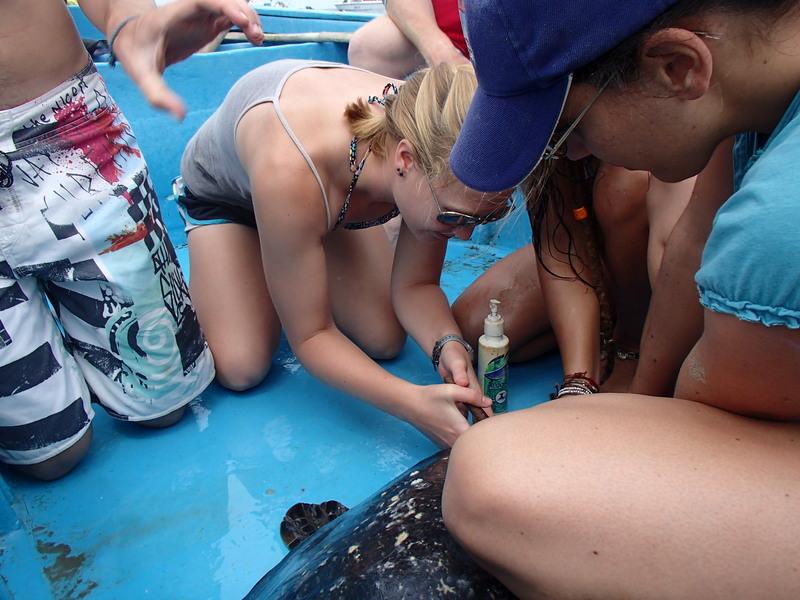 I had the same responsibilities as other volunteers: to go to the fish market to document shark species and work on the larger turtle project as numbers and measurements were gathered. The activities I did while working with the turtles were my favorite. Every other day we would walk along different beaches to survey turtle activity and we went snorkeling for captures. I would not call being outside and being able to explore beaches and the ocean ‘work’ with how much I enjoyed being out there. I also had the opportunity for night patrols because I was in Puerto Lopez during the hawksbill and green sea turtle nesting seasons. We volunteered with local children from the community through EcoClub, which allowed us to have fun and educate the locals through crafts and interacting with people from all over the world. 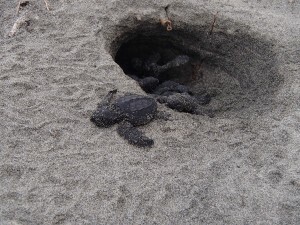 As an intern, I had my own project: I focused on the nesting demographics on a local secluded beach called Playita where we surveyed during night patrols. All of my memories are very important to me and have shaped me throughout my experience. The ones that stand out the most as incredible occurrences in nature were seeing turtles nest and hatch. I had amazing luck at watching these things and even helping catch a turtle. I was there at the right time of the year and had the chances to go to different places and be out there nearly every day and night, which I took advantage of. Interning with Equilibrio Azul taught me about being completely responsible for my own person and self-motivation after being dumped in a foreign place where I did not know the local lingo and was not entirely sure of how anything would work out. I learned perspective, how to go with the flow of life as friends and opportunities come and go, and the importance of the choices I make from what life gives me. Posted in College of Science, Ecuador, IE3 Global Internships.